Soltek Energy is a leading provider of solar power solutions throughout Australia in both commercial and residential environments. The company has a team of specialist renewable electrical engineers who are experienced in solar technology. The Australian company aims to help customers lower their energy bills while reducing their impact on the environment - both things that can be achieved through a high quality solar power system. Soltek Energy is accredited by the Clean Energy Council, giving customers assurance that they are getting the best possible service and expertise. The company can also offer advice on making the most of government rebates and incentives. Soltek's price was marginally better than others for a similar system (Winaico 310W panels + IQ7+ microinverters). Was a toss-up between Soltek & Solaray in the end and I chose Soltek for the offer of a slightly bigger system with the more highly regarded Winaico panels. Unfortunately there haven't been too many sunny days since the system was installed, but even so the output has surprised me: Lightly cloudy days have produced more power than we can consume, however on the dark / heavily clouded days it struggles to keep up with our consumption. >35kWh on a full sunny day from a 6.2kW system. Even though Solar Quotes could not provide the 3 quotes for me I used the information on the web site to get going and try to understand as much as I could about solar panels, inverters, installation etc. 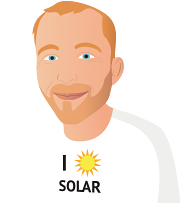 I used the reviews on the Solar Quote web site to vet which companies I would contact - the companies I contacted where Green Solar Energy, OTI Power & Soltek Energy. I found all 3 companies to be very helpful, answered all my questions but were not pushy in any way. I would recommend all 3 companies but in the end I had to make a decision and went with Soltek. The decision was based on price, presentation from Damien, the sales rep, and reviews from the Solar Quote web site. Damien (sales) is very knowledgeable and you will see that by the way he talks and explain things. He answered all my questions with details and I'm satisfied with all his explanation. Vincent, from the back office, is very accommodating and gets back to my follow up questions promptly. With regards to installation, I didn't like the way they hid the cables behind the bricks as they have to remove one brick. You can tell that the brick was re-fixed. There was also a miscommunication between Damien and the installation team because when the installer came to my place, they didn't know that I wanted the inverter to be inside the garage. Solar Quotes made something that seemed daunting, doable. All the suppliers who quoted for us gave us confidence that we weren't being taken for a ride. In retrospect I would have appreciated much more information on solar system monitoring products available. My system does come with a solar edge monitoring portal for production data which I use on a daily basis. But I would like a much more advanced system that would allow me to obtain consumption data as well. I am still somewhat confused as to the best option for me in regards to this. Damien was the only person readily prepared to come out to my home, observe my requirements and circumstances, not rush me and spend whatever time was required to solar educate me and answer all the questions I had. There was no �hard sell� at all during his visit and no pressure to sign me up in the weeks following his visit. He readily understood my requirements and I was very confident of the quality of the system he was offering me. Very much a case of you get what you pay for. Well done Damien, a pleasure to deal with you. Not 100% happy with my experience. Installation occurred over six days. Day one Monday 12hrs to get most of panels up, then came back Friday late afternoon 4 hrs & again Saturday 6 hrs to finish. Underestimated time required to complete the work & bad weather in between. The sales person (Damien) was informative and knowledgeable and we liked that he is an electrician, he is a very good communicator and answered all of our questions honestly and professionally. The staff back in the office were also very helpful, professional and pleasant. They sent through the correct paperwork quickly and efficiently. Our installer (Blake) got on with the job on the day that was promised and did a very professional job. He is very easy to communicate with, he informed me every step of the way, and cleaned up on completion. No roof tiles were broken which suggests that Blake and his trade assistant were very competent with not only their knowledge of the product, but also their environment. Blake also took the time to show me how the inverter worked, and gave me advice on how to shut it down in case of an emergency. We had the system installed a few days ago. The system was what I wanted. LG 335w panel plus a fronius symo inverter 5kw. Still early to say if I made a good choice. It was sometimes hard to get in touch with Damien after we agreed to the system. Further i'm having some trouble with the web monitoring system. We were very impressed with Damien's patience for answering all our questions. His subcontracted installers helped us to find an even better place for the inverter as we weren't keen for it to go in our hot garage. The panels are not really evenly spaced or level with each other but the installer explained that he had to follow the timbers of our roof, which weren't parallel or level. Still, it doesn't look too bad. Soltek actually visited the site. Damien was very knowledgeable explained the issues. They provided referees, and they monitor your system after installation. So far so good . Energy Supplier (Energy Aust.) appear slow as its taken over 6 weeks to arrange for a new meter to be supplied and fitted Supposed to happen to-day! 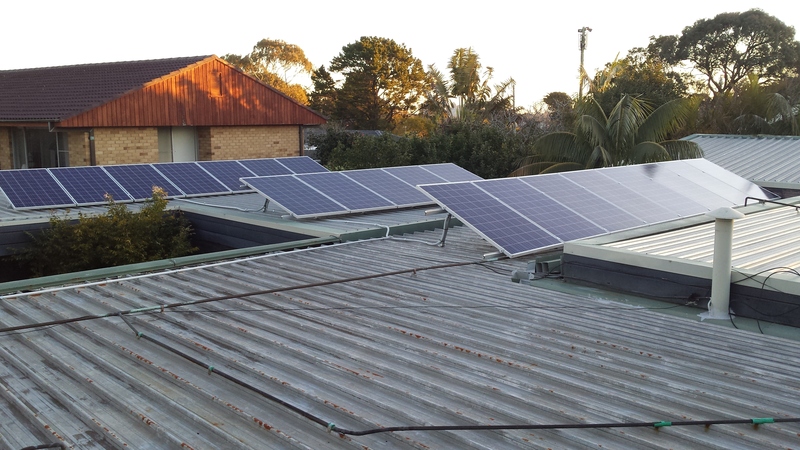 We wanted a substantial upgrade from our our old 8 panel, 2 kW system. The old system was not performing well, though as we had no monitoring it was difficult to work out exactly where the problems were. Also we couldn't find anyone to service the inverter. We met with three solar suppliers, with two recommended by Solarquotes. We received three quotes and chose Soltek because we were more comfortable with the system components (30 x LG Neon 335 W panels with power optimisers, 2 x SolarEdge SE5000H inverters, and a SolarEdge modbus meter), and their reviews were very good. We particularly wanted individual panel monitoring, and the option to add batteries in a few years. Solteks's sales and installation teams were punctual and professional. I wanted the cabling between the panels and inverters to be hidden in the wall cavity rather than run over the roof and walls in conduit. Soltek were reluctant to commit to this so I offered to run the conduit through the wall myself. This involved removal of some external wall panelling. This made Soltek's job of running the cables very simple. Soltek's original quote included removal of the old system for $400. I asked whether this included removal from site. On the revised quote the cost went up to $600. I chose to do it myself, and managed to recycle 4 of the 8 old panels. One went to my son's high school for them to muck around with. The others 4 panels went to landfill. The installation went smoothly, though I wasn't completely happy with the cable management, with some of the cables drooping onto the roof, and some of the plastic cable ties touching the roof. I was concerned that there would trap leaves under the panels. Soltek suggested I place a gutter guard along the top edge of the panels to keep leaves out. At the time of writing this review the system has been operating for 31 days. It has produced a total of 1220 kWh over this time, with up to 55 kWh/day, and a peak output of 8.5 kW. 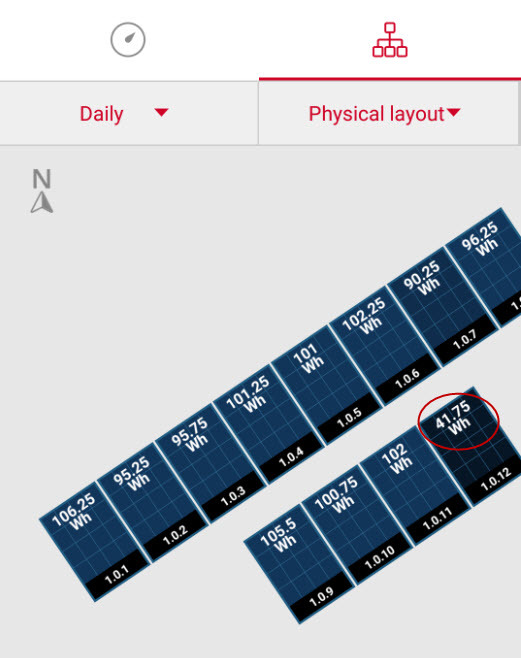 Note that our array is oriented to the south, with the roof pitched at 7%. This theoretically reduces power production by almost 20%. By comparison our old system produced a maximum of 9 kWh/day. The Solaredge monitoring software is good, and we've noticed trends in our consumption habits which have prompted some changes in when we run the dishwasher and washing machine, for example. Despite the few minor issues noted above, I'm quite happy with Soltek and would recommend them. we selected Solar Edge Inverter SE5000H system with LG 335W panels. 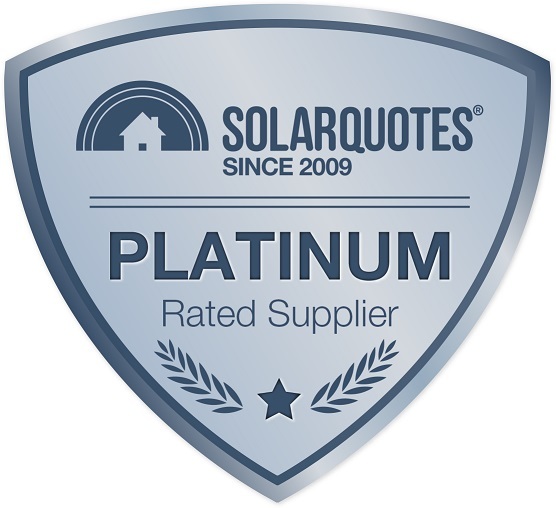 We felt confident with the supplier Soltek that we got a fair deal thanks largely to your Solar Quotes website referral system. The initial installed Solar Edge inverter failed after a week and it took 2 weeks to get a replacement installed. I also ordered and paid for a 3 phase inverter but when the replacement was installed I realised it was only a single phase (as was the original). I asked for the single phase inverter to be replaced with the ordered 3 phase unit and Soltek informed me that the single phase unit was cheaper and offered to refund the difference and a the same time they told me that the "New Smart Meter" that is installed will do a "net" usage across all three phases, but unfortunately when I rang AGL they told me it only did the net calculation per phase. I spent my whole career in the electrical supply industry and have quite a bit of experience in Revenue metering and so far I cannot determine which of these situations is correct ct from the information I can get from the meter. My searching for information on the "net" metering process online has led to many hearsay/anecdotal evidence which support both theories. Do you have a definitive answer to the question as I am sure you are able to understand the differences in billing depending which situation is correct. Also I am not sure the refund that they are offering for leaving the single phase inverter in place is correct. can you tell the difference in price between a Solar EdgeSE500H (single Phase inverter) and a 3 phase Solar Edge SE5K?